Space is limited to 30 participants – ALL are welcome to apply for this FREE Think & Do Session. The installation will include physical, interactive, and virtual components and be designed into three stages/acts/spaces; Past (school-to-prison-pipeline), Present (impact of incarceration), Future (A dream space where teens envision the world they need to stay free). 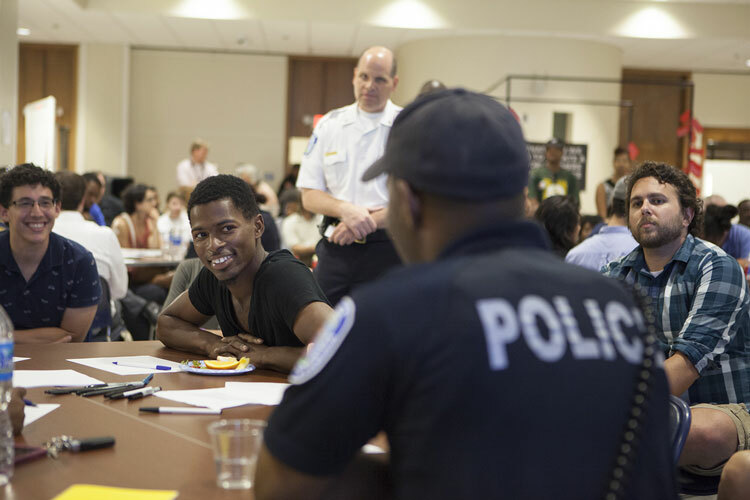 Past: Work with teens to write, design, and produce a variety of stories, media, and experiences that visualize how the school-to-prison-pipeline pushes youth into the system. Physical stage for virtual experiences could include school desks, workbooks with art made by the youth, chalk boards, etc. 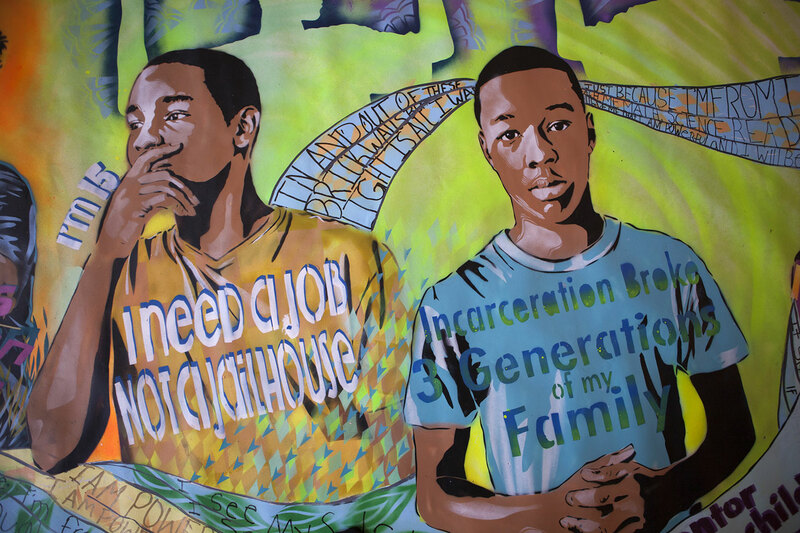 Present: Work with teens to write, design, and produce a variety of stories, media and experiences that engage the intersectional impacts of incarceration. Physical stage for virtual experience will be a 6x8x8 plexiglass jail cell (already produced). The cell has poems and messages written by the teens laser etched into the walls. Viewers would enter the cell and engage the virtual experience, while being physically immersed in the size of a cell. Future: Work with teens to write, design, and produce a variety of stories, media and experiences that visualize the world they need to stay free. By creating a fictional world, the teens can dream, demand, and enact the forms of support and community they need to thrive when they reenter society. Physical stage for virtual experiences are TBD (we want to work with the teens to design this stage). – Because almost half of those incarcerated youth were between 8 and 15 years old! Virtual Reality (VR), the computer-generated simulation of a three-dimensional image or environment that can be interacted with in a seemingly real or physical way by a person using special electronic equipment, such as a helmet with a screen inside or gloves fitted with sensors. Augmented Reality (AR), a technology that superimposes a computer-generated image on a user’s view of the real world, thus providing a composite view. Mixed reality (MR), sometimes referred to as hybrid reality, is the merging of real and virtual worlds to produce new environments and visualizations where physical and digital objects co-exist and interact in real time.